Calling all poker lovers to the Silks summer series tournaments at Silks Poker Room at Tampa Bay Downs! From July 13-22 you can test your skill (or luck) at Silks Poker Room's biggest series of poker tournaments in quite a while. There are seven different events during the week leading up to the main, a $400 buy-in with a $125,000 guarantee. And Tampa's nicest poker room is here to help you find some of the friendliest games in town, with plenty of action and great food and beverages while you play! The lid-lifter is a $175 buy-in NHL with a $50,000 guarantee, taking place on July 13th-15th with four Day 1 flights. 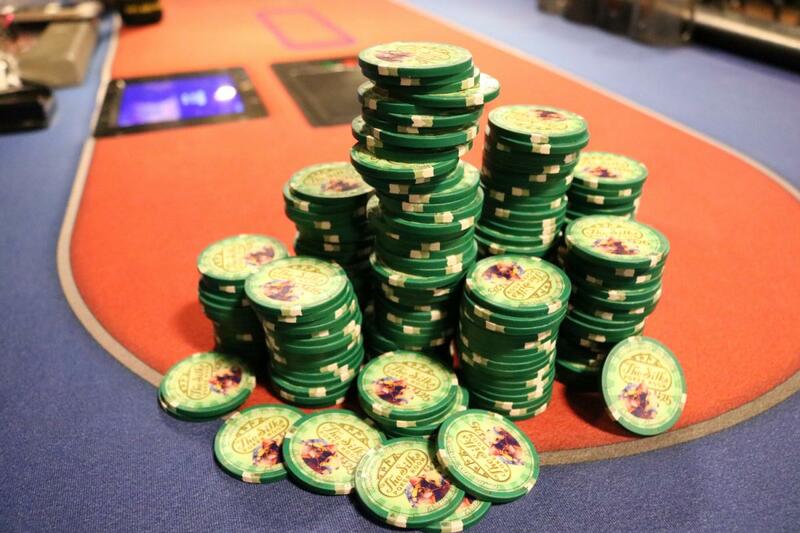 40 minutes levels on Pay Day means plenty of play for a huge cash field. Event 2 is July 16th, a $125 buy-in NHL with a $5,000 guarantee and $25 bounties happening July 16th at 1 pm, with Event 3 is a $160 buy-in NHL with a $10,000 guarantee the same day at 6 p.m. Event 4 is $160 buy-in senior's NHL with a $5,000 guarantee, taking place on July 17th at 1 pm. The 5th event takes place July 17th at 6 pm with a $125 buy-in and a $5,000 guarantee. Event 5 is special because $30 of every entry fee will go to benefit the Jesse Heikkila Foundation, which raises funds and awareness for childhood cancer, and dinner is also included. July 18th sees two events: #6 is a $125 buy-in NHL with a $5K guarantee, and #7 is a $230 buy-in NHL with $100 bounties and a $10K guarantee at 6 pm. The main event is a $400 buy-in NHL with $125,000 guarantee and FIVE Day 1's: It starts July 19th at 6 p.m., and the final entry flight is July 21st at 6 p.m. Everyone with a bag comes back Sunday, July 22nd to divvy up the massive prize pool! At the Silks Summer Series Tournaments, you have plenty of opportunity to try your hand and possibly win it big. Check out Silks Poker Room to read about all of the rules of the tournaments and view the daily schedules! Looking for more great content about sports in Tampa Bay? Make sure to register at 813area today, its free!